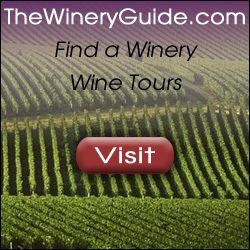 Looking for a wine gift? 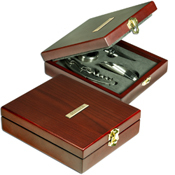 Rosewood wine set has a brass engraving plate and stainless steel tools. Stainless steel tools: waiter’s key corkscrew, pourer with stopper, drip ring and bottle stopper. Pieces fit snugly in foam insert. Lifetime guarantee. Supplier is QCA certified. The terrific gift for the wine enthusiast. Item PL-7705, minimum 15 boxes at 19.95 each, 75 + 19.25 each. Set up is 80.00 set up. Size:5-3/4″ x 6-3/4″. Plate on box is laser engraved, imprint area: 1-1/2″w x 1/2″h on brass engraving plate.